There are two robots with only one task - to reach the portals on the other side. Can you lead them? 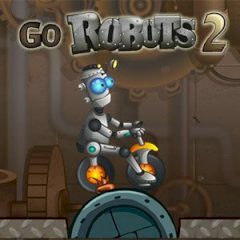 Clear the path for two robots as fast as possible and lose no points during each of 25 levels. Get three stars for your speed and enjoy puzzle levels.